The human race has produced much to enhance its well-being and, unlike all other creatures in the history of evolution, its individuals are endowed with self-reflective consciousness. But human beings have also initiated developments that have disrupted the evolutionary process. Three Windows on Eternity offers unprecedented insight into the cosmic laws, creative discontinuities and eternal mysteries within evolution and the role human individuals play or ought to play today. 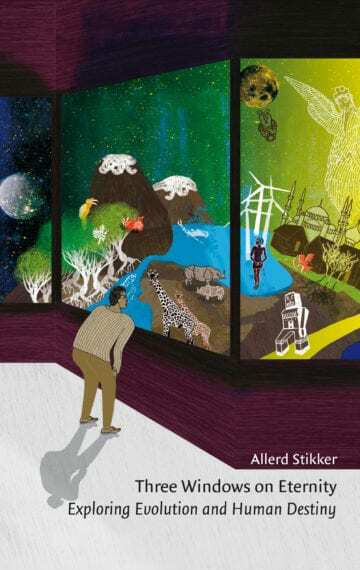 Allerd Stikker argues that we are the cause of present-day social, economic and ecological incoherences, but that we may be able to steer the current phase into more stable waters in the next 25 years. What is the essence of life and of the world around us? What is our role as human beings and how did we get here? Anyone who ever wonders at the magic, the variety as well as the harshness and complexity of life will encounter these questions from time to time. Some people find the answers in religion or spirituality while others find them in philosophy or science. And still others feel their heads spinning and prefer to go back to their daily rituals. During my many travels through life, I kept running into a riddle that has occupied so many people in the history of our existence: the riddle of creation. Ever since my days as a student at Delft University of Technology, which began in 1946,1 have been utterly amazed by the wonders of creation, by its forms, its colours, its sounds and its moods. The chemical engineering programme at Delft did not pay any attention to such things. A seemingly trivial event made me realise the difference between what 1 was learning in Delft and what happens in creation. It was during a project lasting many weeks in the organic chemistry laboratory, where I had to make a complex organic dye from a number of chemical ingredients. This was achieved through chemical reactions, often under high temperature and pressure, using various separation techniques. It was all done on the basis of carefully derived chemical formulae and equations. As I was plodding my way through this task, I arrived home one evening and noticed that a beautifully coloured flower had started growing that day in a flowerpot in my room. Please read the full introduction to Three Windows on Eternity in pdf.